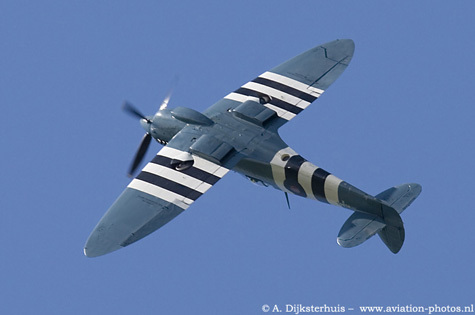 The fifth edition of the bi-annual Oostwold Airshow took place on the first of May. A Stearman Fly in was organized one day prior to the air show. One of the participants is seen here on the right. Thirteen Stearmans (Team Guinnot included) arrived for this purpose at Oostwold. 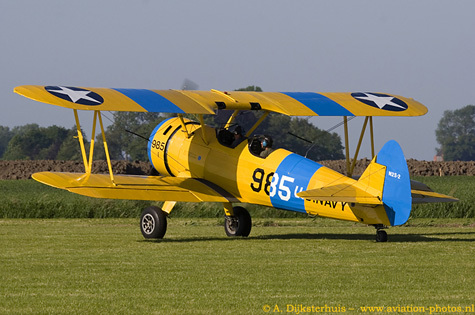 One of them is this PT-13D Stearman with serial OO-OPS in an US Navy livery with code 985.Skyline Aviation was founded in 1990 and it is the only civilian company in the Netherlands that provides target towing, electronic warfare flights, air defence and bomber attack flights for e.g. the Royal Netherlands Navy. 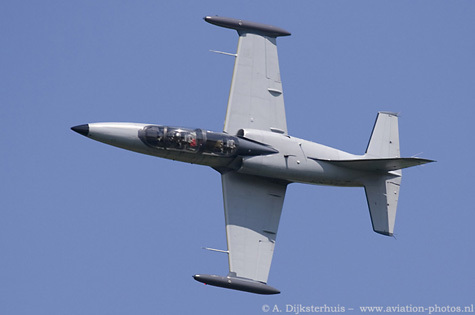 One of their aircraft, a L-39C with serial ES-YLZ is seen here during a nice pass. Not an average image of this Spitfire PR.XI with serial G-MKXI. Just try to imagine the sound of the beautiful privately owned historical aircraft. 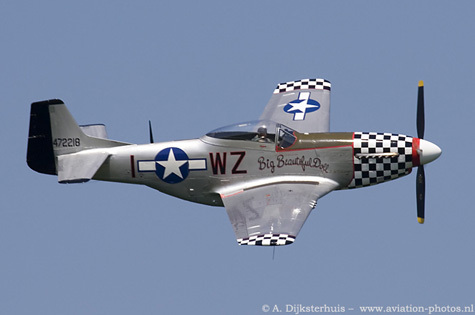 Another treat to the eye and ears was this Mustang, G-HAEC, which is owned and flown here by Rob W. Davies. This ‘Big Beautiful Doll' could be seen on display twice that day! 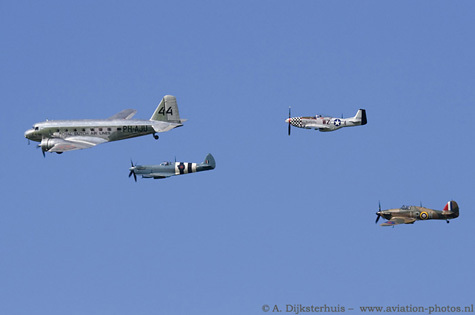 Three Mustangs were present at Oostwold. 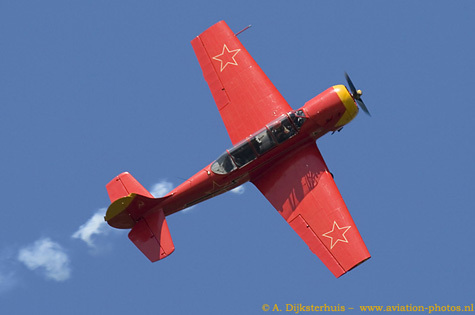 Redyak 52, an Yak-52 with serial RA-1771K, is seen here during the display at Oostwold. An Yak-11 could be seen flying as well. The Captens are seen here climbing during their display. 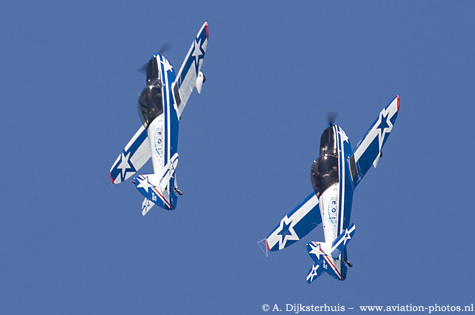 Marianne Maire-Shaw is the leader while Adam Shaw is bravely following her Cap-10B through the sky. An unique formation was flown at the end of the day. The DC-2-142 with serial N39165 (wearing an old KLM livery) is seen here leading the formation with a Spitfire, a Mustang and a Hurricane! 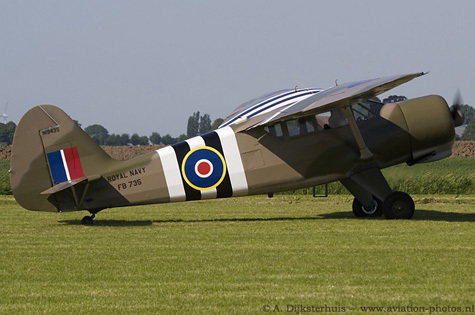 Stinson V77, with serial N1943S, is seen here departing Oostwold in a Royal Navy livery with code FB735, including invasion stripes. Don't worry, the arrival of the Medical Air Assistance EC.135P2, was scheduled. It took part on static display, although it left shortly after their arrival; their presence was needed somewhere else but it returned afterwards. 'Lifeliner Europa 4' normally operates with an EC.135P2 (with serial D-HASN) and is based on a helipad on the rooftop of the UMCG (University Medical Centre Groningen).